The first National Plan for Conservation of Bulgaria's Most Significant Wetlands was prepared by an independent team of experts lead by T. Michev in 1995. This Action Plan has now been updated according to the Terms of Reference set out in a letter from the Minister of Environment and Water in fulfillment of the national priorities for biodiversity protection. The Bulgarian Biodiversity Foundation (BBF) working with the Bulgarian Society for the Protection of Birds (BSPB) on this project was the lead partner in the elaboration of the plan. 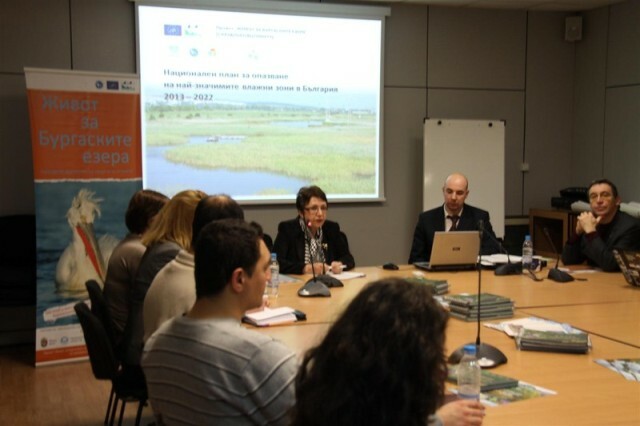 An entirely new procedure for gathering baseline information, studying and planning, was developed under the "Life for the Burgas Lakes" project and was implemented by the Bulgarian Society for the Protection of Birds (BSPB, BirdLife Bulgaria) with the Black Sea Salt Factory - Burgas Ltd., the Royal Society for the Protection of Birds (BirdLife UK) and the municipality of Burgas. It was financed under the EU LIFE+ programme. The updating process started in 2010. 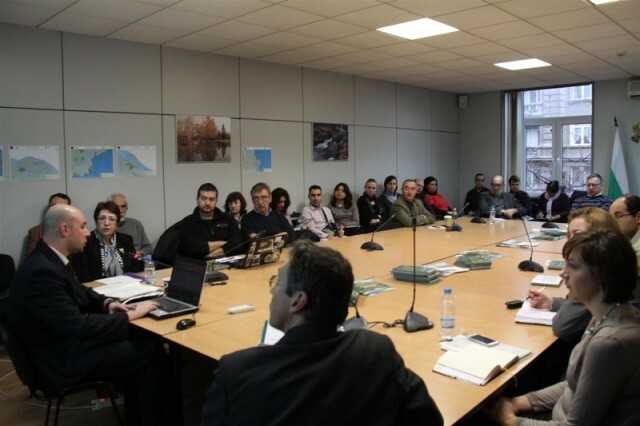 Experts from the scientific circles IBER-BAS and from non-governmental organizations with experience in biodiversity conservation and wetland management (BBF and BSPB) were involved in the process and carried out public consultations with stakeholders. The territorial scope of the plan includes 11 wetlands as priority territories, all of which are included in the Ramsar List of Wetlands of International Importance. The plan also describes in detail 25 additional wetlands that cover one or more of the designation criteria of the Ramsar Convention. identify the required wetland conservation measures as well as the means to implement them. The update of this national action plan, following Recommendation 6.9: Framework for National Wetland Policy development and implementation, and the guidelines provided in Ramsar’s Handbook 2 – Developing and implementing National Wetland Policies, is a clear indicator of Bulgaria’s commitment to the implementation of the Ramar Convention Art 3.1 which states that: “The Contracting Parties shall formulate and implement their planning so as to promote the conservation of the wetlands included in the List, and as far as possible the wise use of wetlands in their territory”. Bulgaria's vice-minister opening the public hearing. The Ramsar Convention salutes this action and looks forward to learning more about the outcome of this policy. A copy of the Action Plan can be obtained from Ms. Aylin Hasan ahasan[at]moew.government.bg or the Ramsar Convention Regional Team for Europe europe[at]ramsar.org.